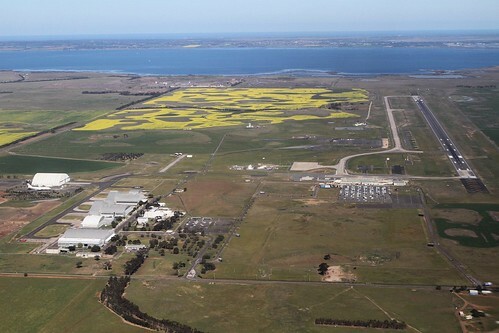 Avalon Airport is located north of Geelong and has six empty aircraft hangars, but I’ve only ever been able to find five of them. So why were they built, and where is the other hangar? 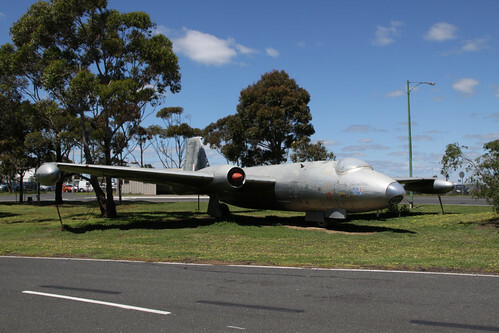 In 1952 the Commonwealth Government bought 1,754 hectares (4,333 acres) at Avalon to enable the expansion of the Government Aircraft Factories, which had outgrown their previous facilities at Fisherman’s Bend in inner Melbourne, due to the existing airstrip being too small to enable the operation of modern jet aircraft. The English Electric Canberra light bomber was the first product to come off the production line. 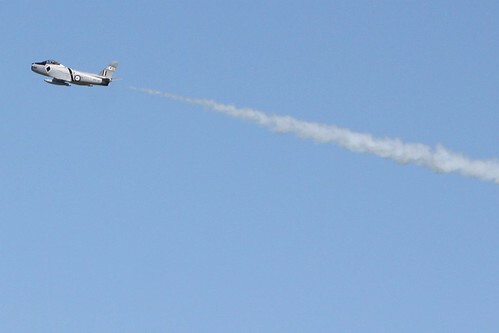 Followed by the CA-27 Sabre, Mirage III and F/A-18 jet fighters. 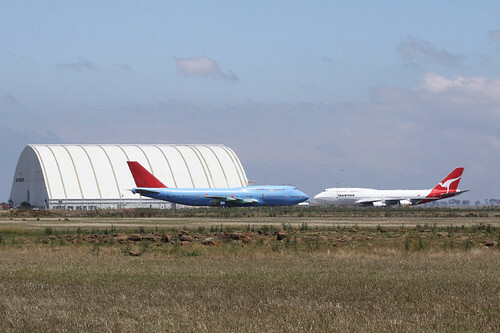 These aircraft were assembled in a series of four hangars on the northern side of the airport. 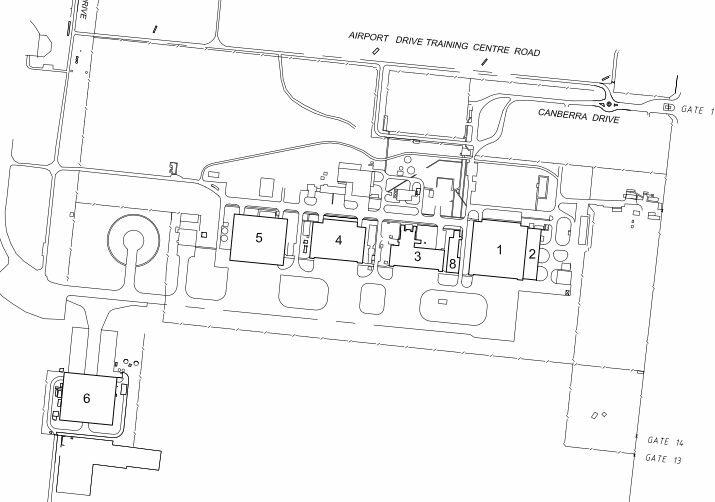 Later rebranded as Aerospace Technologies of Australia (ASTA), in 1988 Avalon Airport branched out into the heavy maintenance of passenger jets, following the construction of a new hangar on the other side of the main taxiway. Big enough to fit a Boeing 747 inside, the 8056m² hangar was completed in 22 weeks, and was big enough to fit an entire Boeing 747-400 aircraft inside, thanks to the 94 metre clear span, 85.7 metre length, 29 metre apex height and 6 metre eave height. 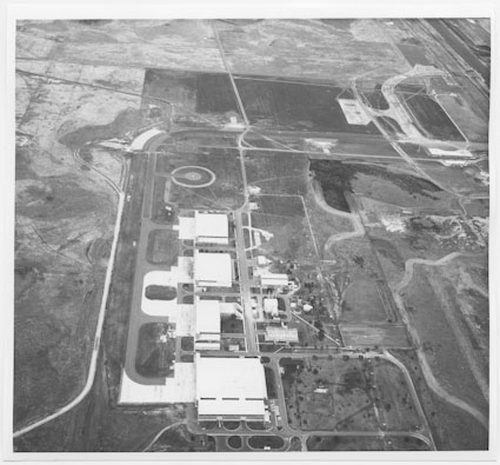 While in 1991 an increase in business saw hangar 5 extended to accommodate Boeing 747 aircraft. 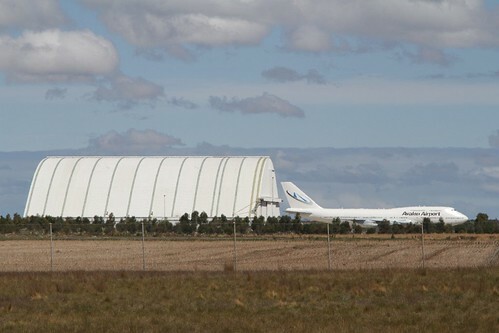 Given a very tight 12 week construction period, Leighton Contractors met the challenge to upgrade the Hangar 5 maintenance facility at Avalon Airport in time to receive its first scheduled Boeing 747 aircraft. 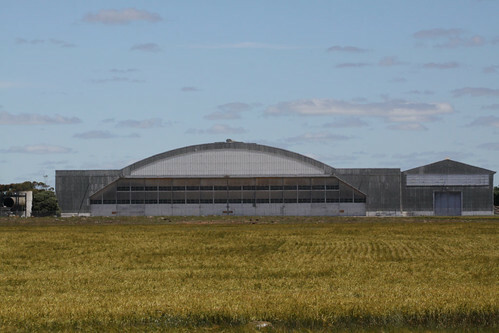 The work on Hangar 5 at Avalon included expanding the hangar space by about 2,000 m2 to a total of 9,000 m2. – 1,400 m 2 of concrete foundations, infill slabs and jacking pads to take the weight of a Boeing 747. – 300 tonnes of structural steel for the roof and support structures. – 60 tonnes of structural steel for the 800 m2 mezzanine floor. – 4,900 m2 of roof and wall cladding. The 21 metre extension at the front of the building was assembled on the ground in four sections, complete with electrical, mechanical, lighting and fire detection equipment. A 400 tonne hydraulic crane, one of only two in Australia at the time, took four days to lift the structure into place. Which dramatically changed the look of the hangar. 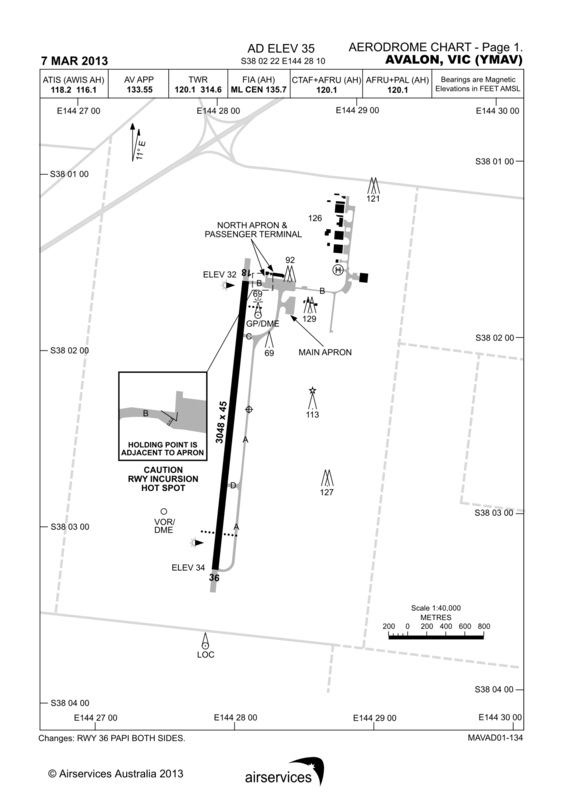 In 1995 ASTA was privatised by the Commonwealth Government, with Avalon Airport following in 1997 when a 50-year lease was awarded to Linfox. 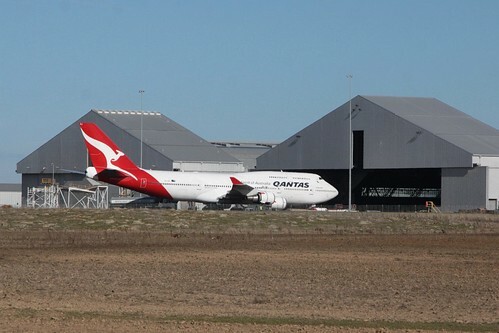 In 1998 Qantas opened a heavy maintenance facility at Avalon Airport, operating from the only two hangars big enough to fit a 747 – hangars 5 and 6. Otherwise they needed to keep the hangar door open! 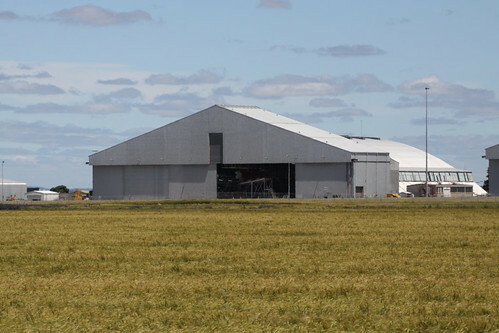 But they were soon in need of more space, so in 2003 Qantas also extended hangar 4 to accommodate bigger aircraft, bringing the complex to what it looks like today. In 2012 Qantas announced that it would be reducing its maintenance operations in Australia, and closed their operations at Avalon in March 2014. 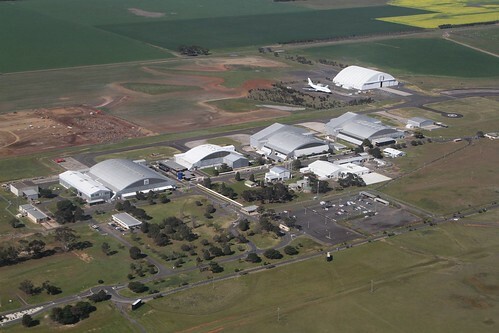 So which hangar is which? 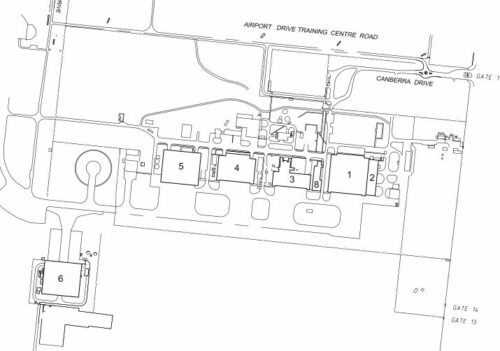 The Avalon Airport aerodrome chart doesn’t help – it lists four big hangars along the taxiway, an even bigger hangar on the eastern side, and a little dinky hangar at the bottom – six in total. Hangar 6 is the big one. And hangar 4 and 5 have the tall extensions to the front. But what about hangars 1 through 3? 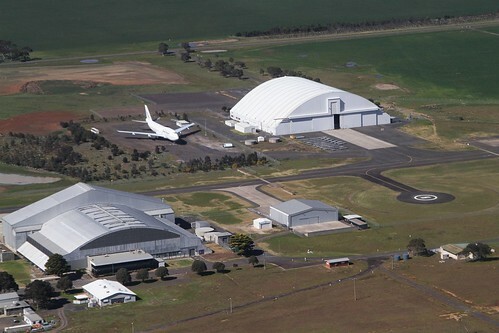 Avalon contains six hangars, three of which are suitable for the Boeing 747 and other smaller aircraft (Hangars 4, 5 and 6). That places hangar 1 as the northern-most hangar. But I finally found the answer in an Avalon Airport submission to Infrastructure Victoria. So ‘hangar’ 2 is just a tin shed, with the hangars numbered 2, 1, 3, 4 then 5. Simple! She is ex-Qantas 747-300 VH-EBU ‘Nalanji Dreaming’. 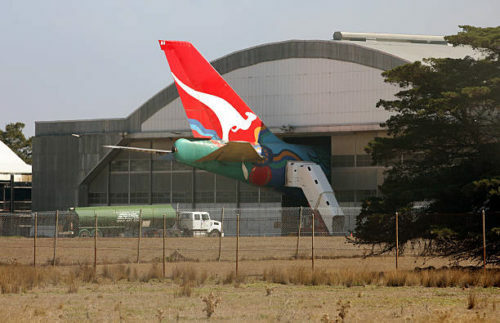 Delivered to Qantas in 1985 and painted into the ‘Nalanji Dreaming’ livery in 1995, she was put into long term storage at Avalon Airport in 2005. Since stripped of parts, then repainted into a plain livery of blue body with red tail in 2008, it is now used as a movie set, with the exterior repainted into plain white with ‘Avalon Airport’ branding in 2016. Is Avalon really south of Geelong ?